Ritchie Bros. has announced the acquisition of Leake Auction Company, an Oklahoma-based collector car auctioneer, established in 1972. "Ritchie Bros. continues to expand and bring its professional auctions to other sectors and asset categories," said Greg Owens, group president (New Sectors & Ventures), Ritchie Bros. "Ritchie Bros. has had success selling collector cars through its live unreserved auctions for years—we know there is significant customer overlap between our industry and the collector car auction sector. The acquisition of Leake Auction Company, which has been utilizing IronPlanet's online bidding software for two years, seems like a natural area for us. We believe this will help us deepen brand loyalty with our customer base and introduce our auction expertise to a whole new sector and group of customers." The Leake Auction Company is family owned and operated—all employees at the company, including Richard and Nancy Sevenoaks, will be retained as part of the acquisition and handle day-to-day operations going forward. 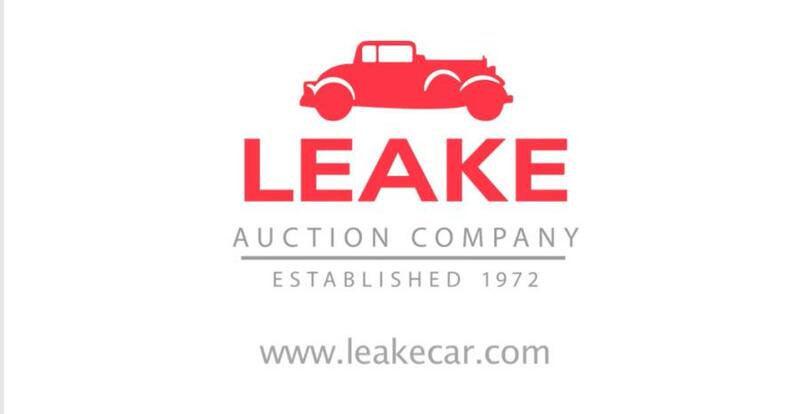 Leake currently conducts auctions primarily in the Oklahoma and Texas regions, with bidding available in person, by phone and increasingly online. "We are thrilled to be a part of the Ritchie Bros. organization," said Richard Sevenoaks, president of Leake Auction Company. "We know they operate with the highest level of integrity and professionalism. With their expertise in auctions and geographic reach they can help us significantly grow this business." Also joining the Ritchie Bros./Leake team is Muffy Bennett, former Barrett-Jackson division manager and CEO of Bennett Automotive Specialists. "Muffy brings a wealth of industry experience and contacts to our company in this sector," said Greg Owens. "Along with the Leake team, she shares our same passion for customer service, consistency and integrity. With Ritchie Bros. and Leake working together, customers can expect unparalleled service and commitment." The next Leake Auction event is scheduled for Feb. 23 – 24 in Oklahoma City, OK—for more information about the auction, visit LeakeCar.com.